Rio Summer Olympics Replica Gear Up Online! 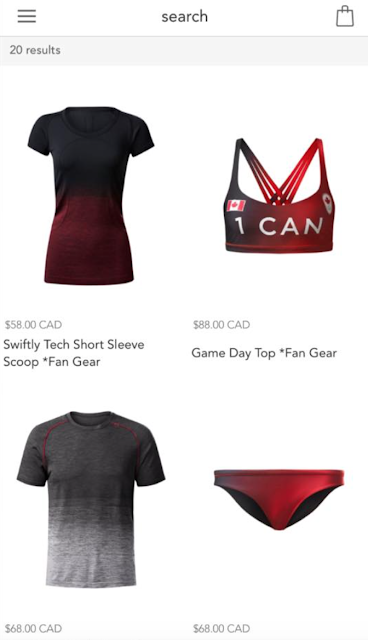 These Olympic replica items have not been officially uploaded but if you search ‘fan gear’ on the ap it is online and purchasable. Nothing really screams Olympics to me other than the El Court Tank Top so that is what I’m considering for my purchase. I thought there would be a bag as well. 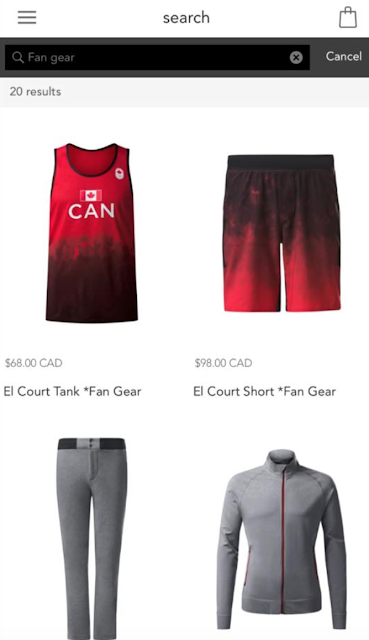 "Lululemon Olympic Gear Dropping Tomorrow"
"Power Purple Swiftly Tech LS, Hounds Camo Pace Rival Crops, Fast As Light 2 In 1 Tank, Rain For Daze II Jacket"
Notice the Fan Gear Swiftlies are $58 instead of $68? What the???? $68 in Canada right now :(. Nothing super fun like I thought there would be but actually ordered the grey to black swiftly to try. might be flattering with the lighter color on bottom. But might not. We shall see. there's more product for the men than the women! or did I just miss some that sold out? 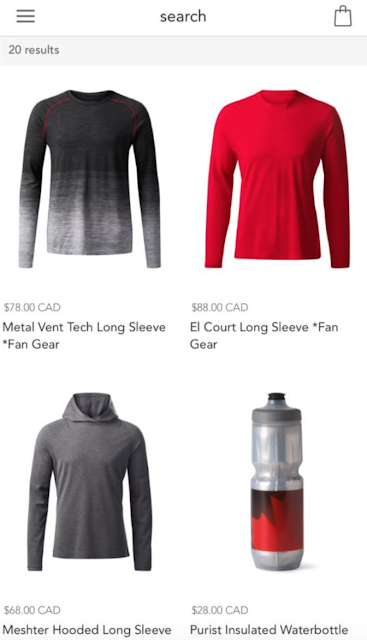 I see 6 products for women (by searching fan gear on the horrible website). omg I went to buy the SS swiftly and yes it says 58$ but now in my cart after going throught the payment steps it's 68$. and I thought I had a deal somehow…bummed. I went back and now it shows 68$!!! there are more products for men than women! sigh…. the swiftly is $68CAD. an easy pass for me at this price. no tank/singlet. geez, thanks Lulu for caring about my wallet more than I do! 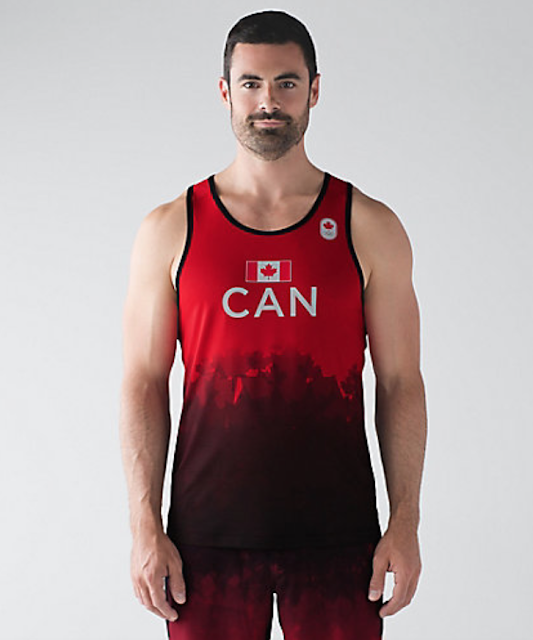 I wish there was a women's singlet like the men's tank. It's the only thing I really like. wish we had a tank. I like the swiftly but is says nothing Olympics so I can easily pass. I agree Anon 11:05a.m. Nothing special about the Swiftlies for $70. plus dollars, no thanks. Agree. Love the Red/Black but not at that price. The worst of this is that it's now the regular price for all the normal Swiftlies too… at this point I'm actually surprised that they didn't decide to take advantage of the fact that it's a part of their 'special' Olympic stuff and price it even higher. I picked up one today and I absolutely LOVE it! 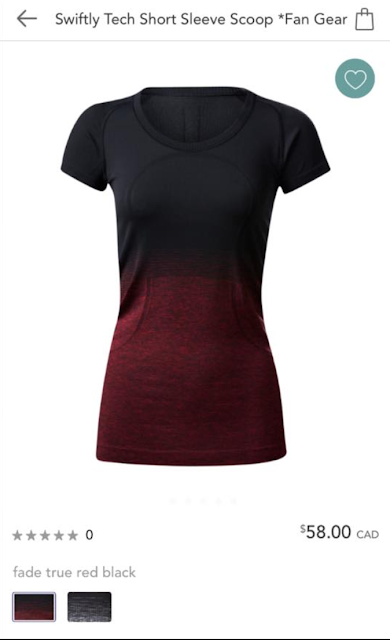 Black and red aren't colours I normally wear and I think if it was a regular swiftly tee t would be underwhelming but it really looks great with the scoop neck. Hope you love it as much as I do! 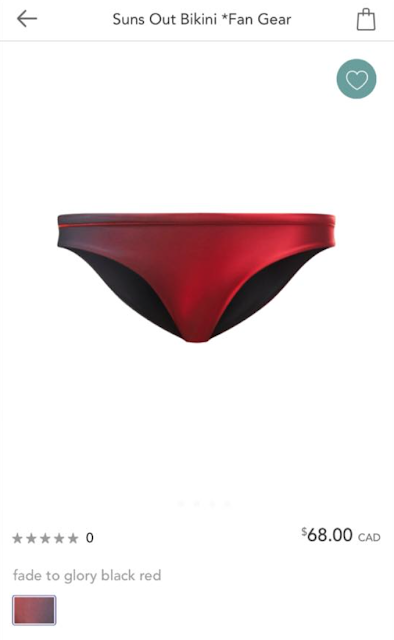 The price of that bikini is offensive for what it is. I'd rather have a cute bikini from a real swimwear brand for that price. 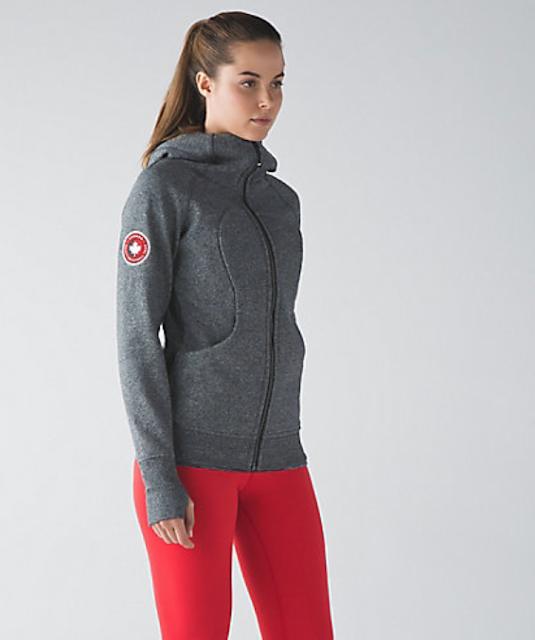 last Olympics Adidas had these really cute LS tops with a small red maple leaf on the left sleeve. so cute! 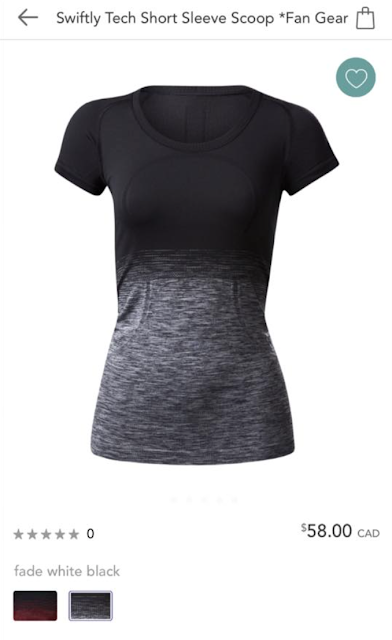 this is something that would have motivated me to buy the swiftly top. but the way it is now it is just not worth it. there's no Olympics reference on it. The Scuba III is 138 for basically a speckled black version they have had around for ages which they then slapped a single patch on one sleeve. Lazy. Has almost sold out though, so what do I know I guess. 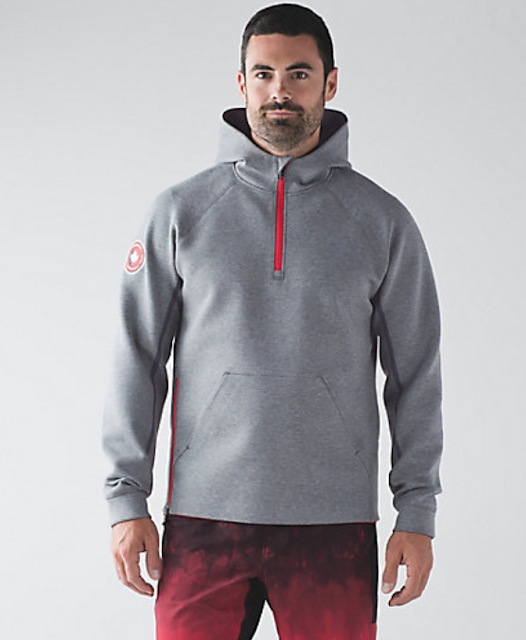 Anyone wanting some game day gear that actually looks like olympic gear, go the The Bay website they have over 40 items for women, lots of l/s, s/s tops and tanks, sweats, pullover, etc., great selection and a lot is on sale. oh my goodness, the t shirts with the little squirrel and beaver on them are so cute! The mittens are cute too, for winter time of course, lol. and the prices are good! I also read that 10% of the proceeds go to supporting the Olympic Team and to date they have contributed $21 million in support to the team. Thanks for sharing. The Women's Closing Ceremony Jacket is pretty nice! Not bad for $125. squirrels and beaver you say?? omg I need this! They restocked the fan gear for both men and women this morning. Showing stock for all sizes for hoodie etc. I think this is common practice for lulu. make it look like there's a shortage so people start feeling FOMO. then re-stock because you just got more product a few hours later (I call it magic!). so annoying. I think so too, anon 9:16 AM. Strategy. 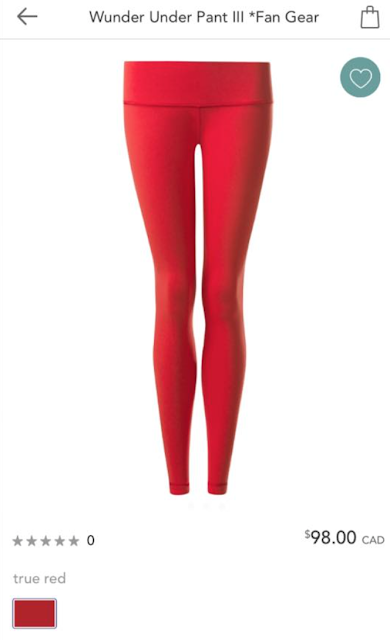 Did buy the red and black swiftly to try. Like the colors for fall/winter.